Which Alabamians have done the most in the last 25 years to improve the image of the state? Obviously, setting the time frame starting 25 years ago in 1985 eliminates some deserving old timers who readily come to mind. The purpose here is to recognize those in the current era who have done the most to improve Alabama’s image nationally and internationally. Many deserving names were received from all over the state. It was the job of your intrepid blogger to narrow it down to ten individuals. 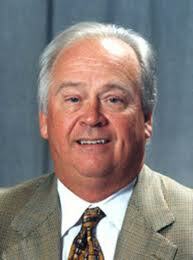 Dr. James Andrews is the Birmingham orthopedic surgeon to sports celebrities. He is said to be one of the best surgeons in America on knee, elbow and shoulder injuries. Andrews is credited with performing some of the world’s first arthroscopic surgeries. The likes of Drew Breeze, Brett Favre and Tom Brady have all trekked to Andrews for surgery. Frequent mentions in the sports media of Andrews and his Birmingham clinic bring credit to Alabama. David Bronner heads the Retirement Systems of Alabama (RSA). He’s abrasive and controversial, but he has used the billions of dollars under his control to help the state in big ways (and to earn impressive profits for his fund). Most notable is the highly successful Robert Trent Jones Golf Trail which features eleven outstanding golf courses throughout the state that attract considerable tourist revenue and glowing out-of-state publicity. Fannie Flagg, born Patricia Neal, grew up in Birmingham and Baldwin County. She couldn’t keep her name when she got to Hollywood because there was already an actress by that name. The dyslexic author-actress maintains a part time home in Fairhope. Best known for her book, Fried Green Tomatoes at the Whistle Stop Café (for which she also wrote the screenplay), Flagg has also regularly appeared in movies and on television. Her good humor and bright outlook have always brought credit to Alabama. Winston Groom is a resident of Point Clear and is best known for writing Forrest Gump, which was made into the super successful movie starring Tom Hanks. But he also writes well researched nonfiction. Books such as A Storm in Flanders: The Triumph and Tragedy on the Western Front and 1942: The Year that Tried Men’s Souls have proved that, yes by golly, there are intelligent folks and great writers in the state who are currently generating favorable notice for Alabama. Nelle Harper Lee’s Pulitzer Prize winning novel To Kill a Mockingbird was published in 1960. So why is Lee on this list for a timeframe beginning in 1985, you ask? It’s because of the continuing influence her book has on today’s high school students. The book is currently on the reading list of just about every high school in America. The publicity shy Lee now resides in an assisted living facility in Monroeville but her work continues to favorably impress the nation’s youth – and elders. Condoleeza Rice is a native of Birmingham and the only child of a Presbyterian minister. She served as American Secretary of State under George W. Bush. Prior to that, Rice was the Soviet and East European Affairs Advisor to the first President Bush during the dissolution of the Soviet Union and German reunification. In the business arena, Rice has served on the board of directors of the Charles Schwab Corporation, the Chevron Corporation, Hewlett Packard, the Rand Corporation, and the Transamerica Corporation. Before government service, Rice was Stanford’s Provost, the chief budget and academic officer of the university. Everything she has done, she has done well, which brings credit to her native state. Gov. Bob Riley has delivered eight years of solid, scandal free government to a state that has had two governors convicted of felonies since 1985. Some, including this poster, thought Riley had gone off the deep end in the electronic bingo raids. However, subsequent events have provided a degree of justification for his actions. For his role in restoring honest government and his successful industrial recruitment efforts, Riley has brought favorable attention to the state and deserves a spot on this list. Neal Wade, Alabama’s chief industrial recruiter until recently, probably has had more direct affect on the lives of working Alabamians since 1985 than any single individual. He is a heavy hitter. All of the industrial recruitment successes in Alabama in recent years bear Wade’s fingerprints. He’s internationally known and respected. The CEOs of the world’s major corporations take his calls. Governors and heads of state, some of whom have lost recruiting battles to him, pay attention. He has sold Alabama to the world and created thousands of jobs for its residents. So there you have it, this discussion’s first top ten list. Any disagreements? Let me hear from you and we’ll do another list. William Bruce is a business broker and appraiser on the Alabama Gulf Coast. He may be reached at (251) 990-5910 or by email at WilliamBruce@bellsouth.net. This entry was posted in Alabama's Economy, Mobile, Fairhope & Gulf Shores, Alabama and tagged Al Head, Bob Riley, Condoleeza Rice, David Bronner, Dr. James Andrews, Fannie Flagg, Mike Dow, Neal Wade, Nelle Harper Lee, Top 10 Alabamians, Top 10 in Alabama, William Bruce, Winston Groom. Bookmark the permalink. What do you think about adding some more pictures? I don’t want to offend anyone, content is really nice. But as I know visitors acquire info much more effective if they see some helpful illustrations. Stacy: Good suggestion. I’ll check to see how many pictures wordpress will let me include in a single posting. If I can get more in, I’ll do it. Thanks.